Extra Vehicle Details: This is in like-new condition in every regard. Our 2018 Mitsubishi Triton 2.4 Di-Dc Double Cab Automatic 4x2 is not to be underestimated. A bakkie that can easily carry your workload and smart enough for any urban jungle environment too. 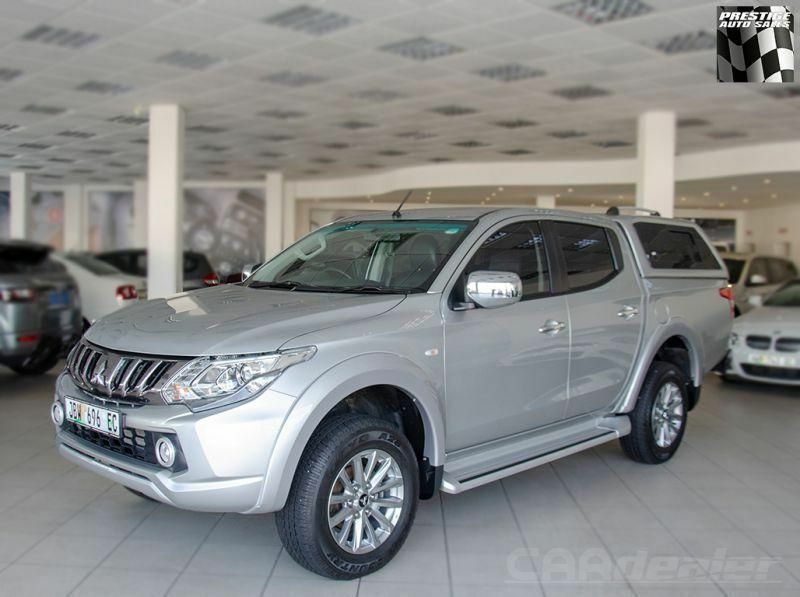 Importantly, this bakkie carries the Balance of 5 Year/90,000km Service Plan (ends 04/01/2023) and Balance of 3 Year/100,000km Factory Warranty (ends 4/01/2021). This one packs a colour-coded Beekman Executive canopy and rubber bin lining; VPS paint protection film on the nose; towbar; aftermarket side steps. It also features a beautiful leather upholstery; PDC with a Reverse Camera; Touchscreen Media Interface; audio with USB and Bluetooth input; cruise control; multifunction steering wheel controls; foglights; electrically-adjustable driver’s seat; electrically-operated windows; aircon; and a host of standard safety systems. Make it yours.